Traffic Reminder – A reminder to all families who drive their children to school, please slow down. We want all students to be safe and when cars are going too fast, the likelihood that someone gets hurt increases. We also want to encourage folks to use the drive thru to pick up and drop off their students as it helps with traffic in the front of the school. Book Fair - Thanks to the Winterhaven community for a very successful book fair. With your support we doubled last year's sales and purchased $850 worth of books for our library. Your generosity also purchased a record 26 books for our classrooms! We could not have done this without the support of our awesome local bookstore, Wallace Books; our volunteer book sellers; and our student packing crew! Food Drive to benefit Portland Food Project - Thanks to all who donated food to our donation drive supporting Portland Food Project. We collected 230 pounds of food to help stock food pantries around the Portland area to help individuals and families get through the holiday season! If you would like more information on what the Portland Food Project does or how to become a regular donor please check out their website http://www.portlandfoodproject.org/ or feel free to contact me at kristinwdoherty@yahoo.com. 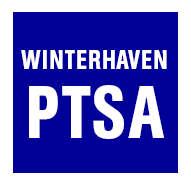 Thanks again from the Winterhaven Community Service Committee!